Fortnite’s launched into season 7 today, but Epic still had one more surprise for The Game Awards: The Block. An in-game event, occurring simultaneously with the announcement, saw a massive cement slab crush Risky Reels. This space will now be a regularly updated hub that looks to tie into the game’s new creative options. 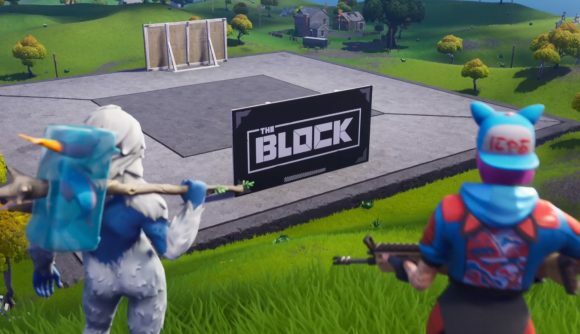 The Block replaces Risky Reels from here on. It’s a new space where the best community creations, as chosen by Epic, will be displayed in-game as part of a sort of rolling live event. We didn’t get details on exactly how it’ll work, but it seems like things built in Fortnite Creative will become new, physical places to be explored in matches.